One of the most beloved days of the year is nearly upon us. Everyone loves St. Patrick’s Day celebrations, green beer, great food, and other St. Patty’s Day deals. 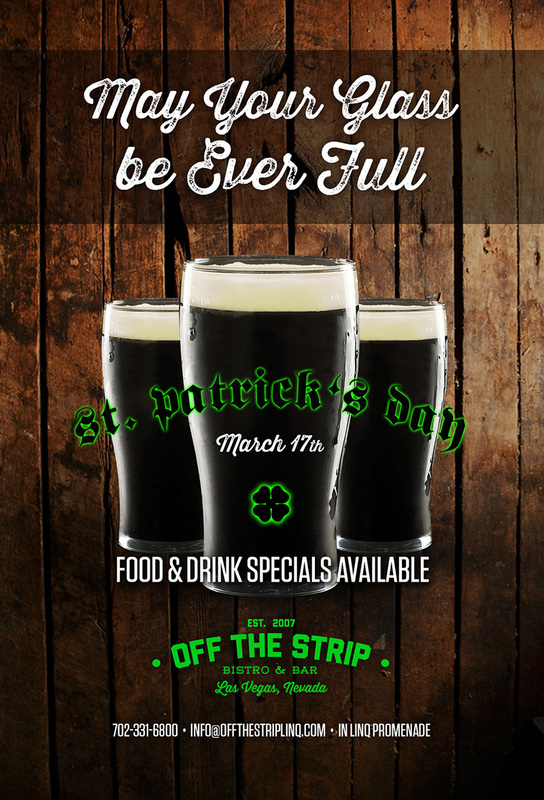 Off The Strip celebrates this day like no one else! We know what our guests want, and that is why we offer food & drink specials ALL day on March 17th. We really do love our celebrations but we do know that celebrations are only complete when there are great deals, good friends, and great food involved. Stop by on March 17th and raise a glass with us!